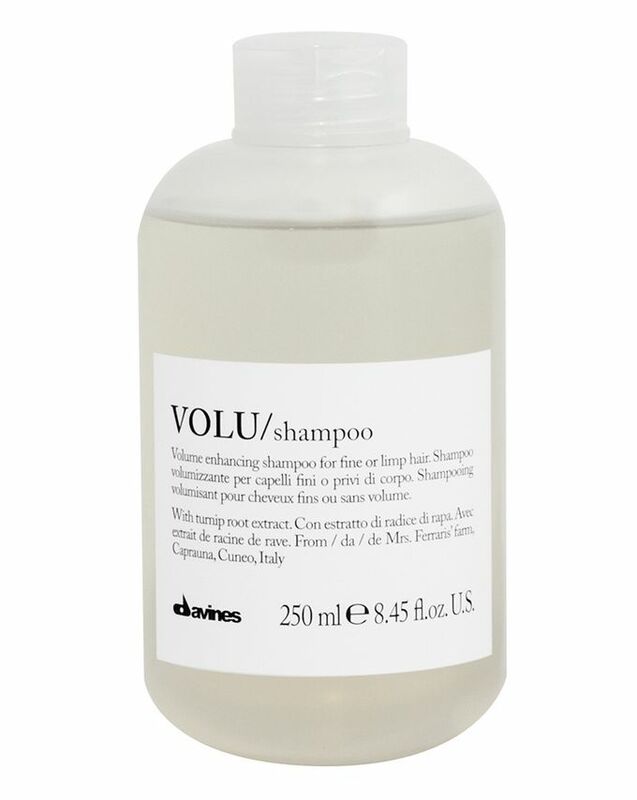 VOLU Shampoo is another cult product from Italian hair care brand Davines – a pivotal product in their ‘Essentials’ range, enriched with active ingredients to protect the structure of the hair from stresses, while promoting healthy bounce and volume. Clarifying but non-stripping, the ultra-gentle formula purges the scalp of dulling dead cells and impurities, whilst dissolving product build-up to leave hair weightless and thus free to reach it’s ultimate, voluminous potential. Ideally suited to those with finer hair types, who live in urban environments or use a lot of styling products, this is sufficiently mild for everyday use – effortlessly purifying without compromising hair health. 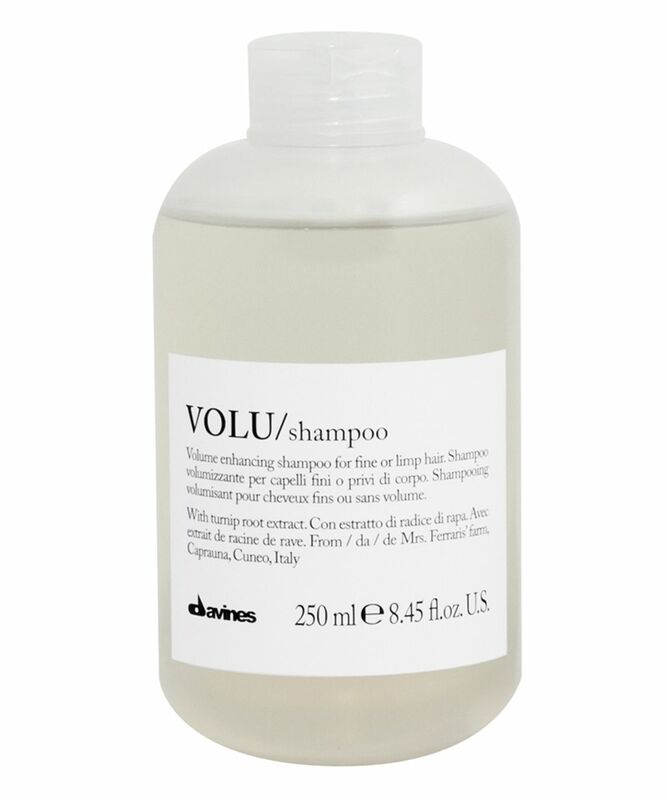 Tailored towards those with fine hair that’s consistently smothered by everyday build-up and environmental grime, VOLU Shampoo gently cleanses without damaging your strands’ structure. With a mixture of mild surfactants to leave hair clean without weighing it down, and hops extract to revitalise, soothe and provide a natural root-boost, this heavenly-scented Shampoo will soon transform limp, lacklustre locks into enviable crowning glories. Aqua/Water/Eau, Sodium C14-16 Olefin Sulfonate, Sodium Lauroyl Methyl Isethionate, Cocamdopropyl Betaine, Sodium PCA, Decyl Glucoside, Sodium Methyl 2-Sulfolaurate, Glyceryl Oleate, Coco-Glucoside, Lauramidopropylamine Oxide, Benzyl Alcohol, Polysorbate 20, Sodium Chloride, Panthenol, Parfum/Fragrance, Sodium Benzoate, Myristamidopropylamine Oxide, Disodium 2-Sulfolaurate, Citric Acid, Polyquaternum-7, Trisodiumethylenediamine Disuccinate, Guar Hydroxypropyltrimonium Chloride, Glycerin, Tetrasodium Glutamate, Diacetate, Brassica Rapa Root Extract / Brassica Rapa (turnip) Root Extract, Linalool, CI 60730 / Ext. Violet 2. Best shampoo I've ever used! Dont be put off by the price. A bottle lasts me a few months as I don't have to wash my hair nearly as often as I used to with cheap shampoo. Smells great and creates a nice foam which a lot of sulphate free shampoos don't do. I have tried lots of volume shampoos over the years and I can say this one is amazing. I’ve lost so much Hair and this shampoo really plumps up my hair. It is gentle and smells beautiful. Only fault it comes fast out of the bottle if you are in a hurry and not being careful and you really only need a little bit. Great product. Nice and pleasant shampoo. The smell is very mild and flowery. My hair feels very good after using it. My hair has a nice grip after using this shampoo without the usual dryness. I like this shampoo for a more voluminous/textuered look. I love this shampoo it’s the only one that works for me but I find it a bit too expensive . Gives really good volume, smells nice, washes out well...I loved it! It gives a bit of texture to the ends so use a heavier conditioner to smooth them out.